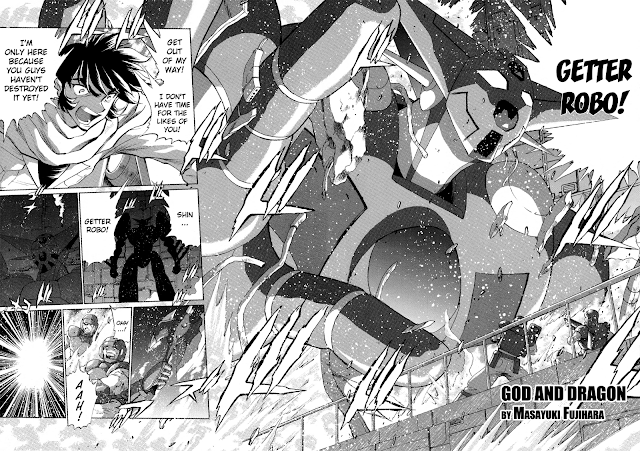 Here's the first chapter of Getter Robo Arc volume 2. This is quite a good chapter and the following chapters are even better as the story really starts taking off. Thanks to OtherSideofSky for his awesome translation! 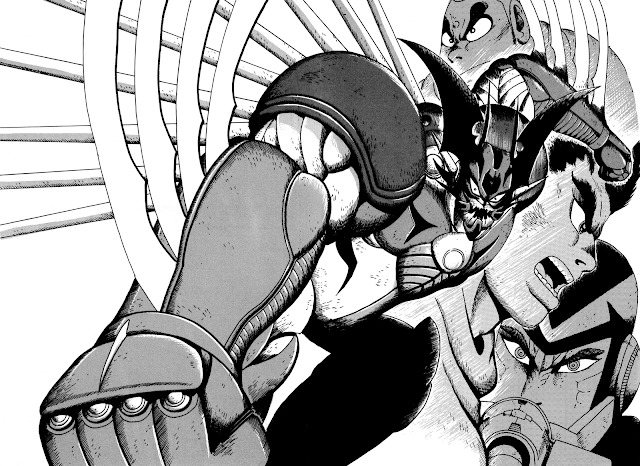 Also, it seems I somehow forgot to do a full volume compilation of Getter Robo G, so I've added a download link for that. Thanks to the reader who brought this to my attention. 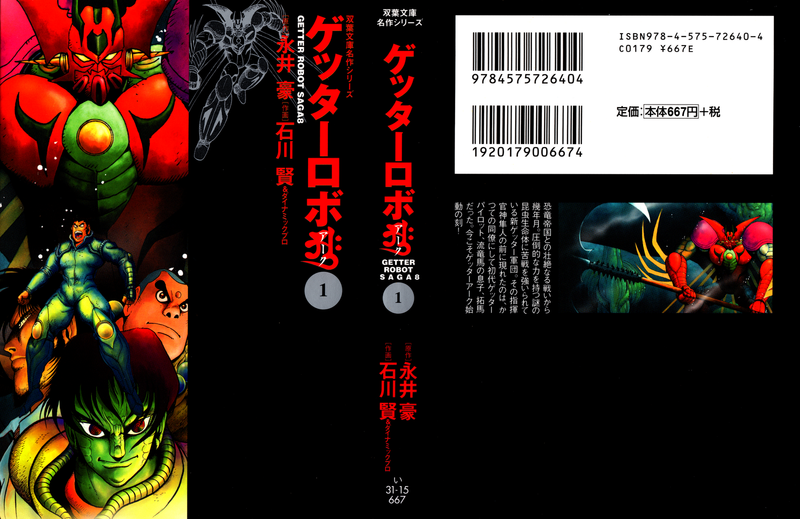 The title of this chapter, God and Dragon (神と竜) is a reference to Hayato and Ryouma's names. The "Jin" in Hayato Jin is written as 神 which can also mean God. The "Ryou" in Ryouma is written as 竜 and can mean Dragon. This story takes place between the Shin Getter Robo and Getter Robo Go manga series, right after the Saotome Lab incident with Shin Dragon. Many thanks to Chen Gong for translating this release. Enjoy! 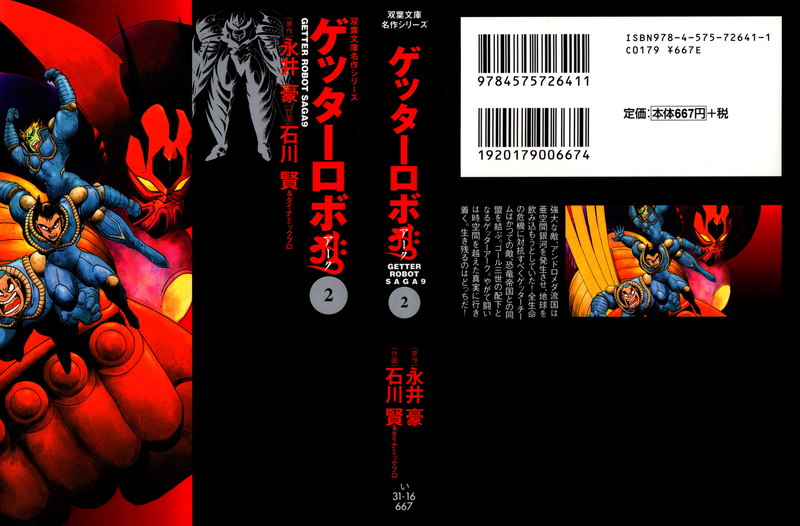 As promised, here's the full compilation of Getter Robo Arc volume 1. It includes the Mazinger short story "Relic of Terror" as a bonus chapter. We'll continue on to volume 2 either this week or the next depending on how things go on my end. Thanks to OtherSideofSky for translating Arc volume 1 and thanks to C-K for translating Relic of Terror a few years back. Enjoy! 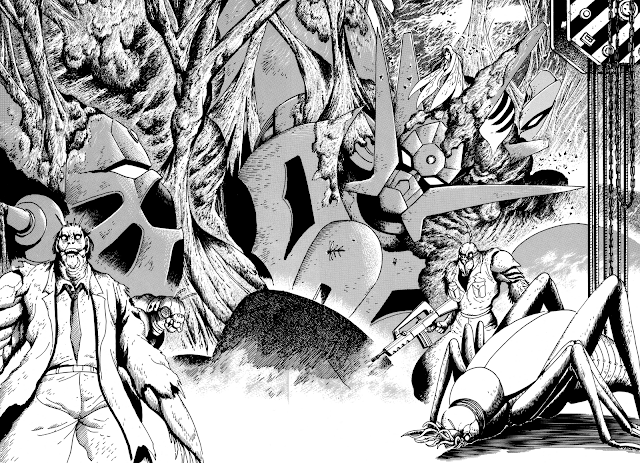 Here's the final chapter of Getter Robo Arc volume 1, I'll have the volume compilation out on Monday along with the extra chapter of Mazinger that's included with the volume. Enjoy! And here we are, at the end of volume 3 of Yokoyama's Mars! 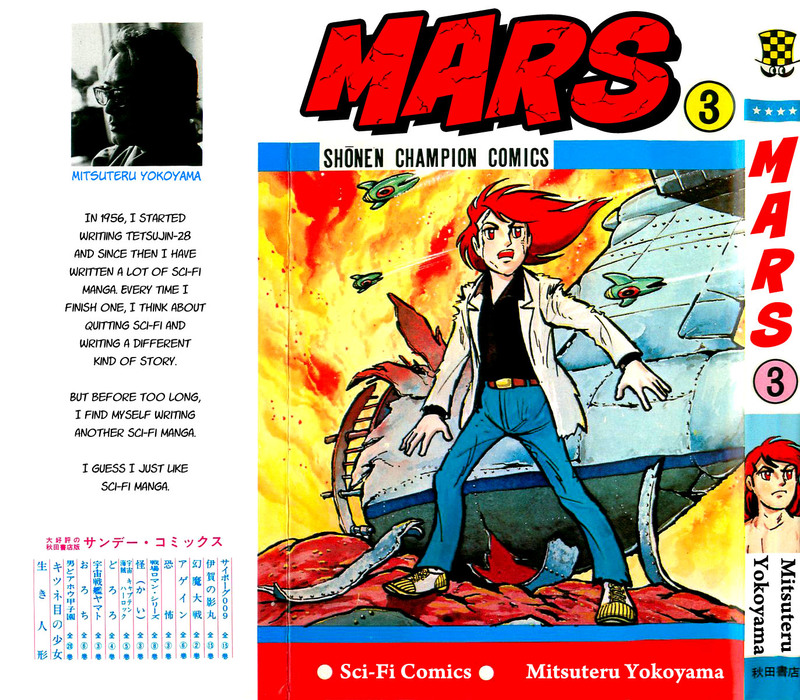 With the situation looking dire, Mars tries one last desperate attempt to save his life - and Earth. Only two more volumes to go until this series is complete. Thanks to Hokuto no Gun and HappyScans! for their continued work on this series. The insects continue their rampage at the foot of Mt. Asama - will the Getter team be able to stop them before they infest the entire area? Many thanks to OtherSideofSky for his work on this series as usual. Originally, I said this was a two part story, but that's actually not the case. 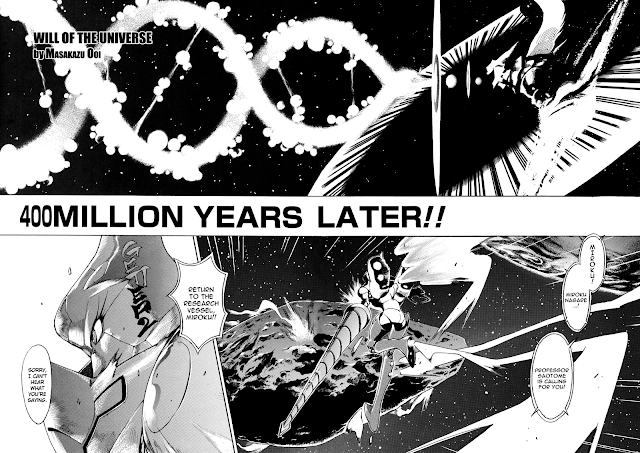 The next chapter is actually the conclusion of both this story and Getter Robo Arc volume 1. We'll move on to Getter Robo Arc volume 2 shortly afterwards. Oh, and here's something to note - part of this chapter was actually adapted in the New Getter Robo OVA (2004 - 2006). See if you can recognize what scene I'm talking about! This is probably my favorite chapter in the entire book. I'm not familiar with its author, Masakazu Ooi, but after reading this chapter I feel the need to check out his other works. The action, art and story are all top notch in this chapter which focuses on the far future exploits of Getter and humanity. Thanks again to Chen Gong for his awesome work, and make sure you read the credits page for his translation notes. Enjoy!